An industry leader with more than 400 trucks and trailers. GPS monitoring and our in-house App based transport management system allows for optimal delivery performance through our dynamic route planning, giving us maximum control. Be it nationwide distribution or home deliveries, RichLand has got you covered. 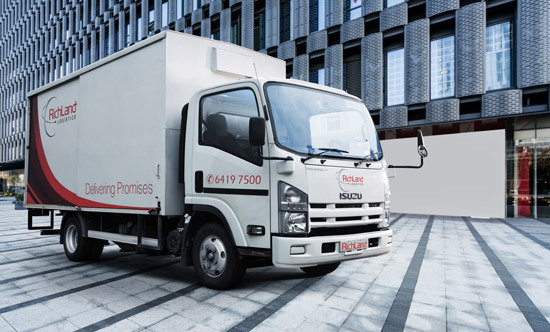 Equipped with a dedicated fleet, RichLand promises quality delivery performance that meets the needs of customers and ensures that the delivery is on time, every time, 24/7. As a true 3PL provider, we are constantly investing in our operations and equipment to serve you better. Nationwide distribution with last mile delivery.